• World premiere: 21/10/2001, Centre culturel, Rouen (France), Octobre en Normandie festival – Alexandre Tharaud (piano). • Commissioned by Musique nouvelle en liberté. 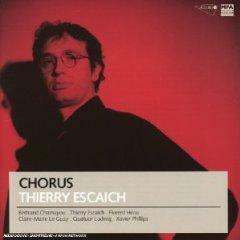 • CD “Chorus” (Accord/Universal 476 1282). 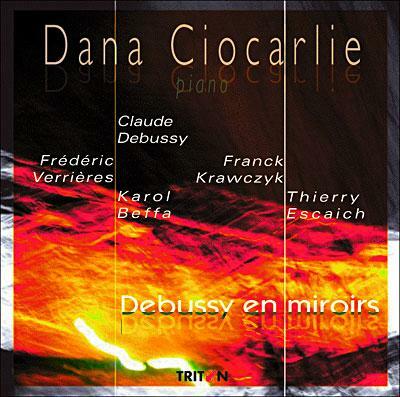 • CD “Debussy en miroir” (Triton TRI 331143). Composed from the opening bars of the theme of Jean-Philippe Rameau’s Gavotte et Six Doubles, Jeux de doubles is presented like a stained-glass window in which the reminiscences of Rameau’s theme take on the most diverse appearances—on the harmonic as well as the rhythmic levels or in the spatial arrangement—as in a suite of short variations linked to one another. Here, the idea of the double appears in the play of false symmetries that governs, for example, the linking of rhythmic breadths of phrase, or the idea of stylistic duality when one fleetingly perceives snatches of Baroque phrases carrying on a dialogue with their own polyrnodal transformation in a play of distorting mirrors. This same idea of the double is found again in the spatial division of the keyboard into two distinct planes, which most often brings about a superposition of two different musics, or two types of contrasting evolutions. Finally, the whole unfolds in a sort of dance that is both frenzied and jubilant, punctuated by brutal eruptions of contrasting moods, a dance to which the continuously renewed writing of irregular rhythms gives a playful toccata character. It was Alexandre Tharaud who gave the first performance of the piece, in alternation with the Rameau suite.